Vogue 1250 - it didn't work for me. 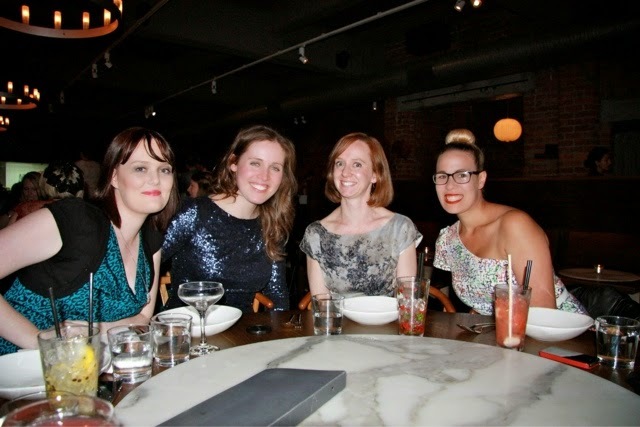 I made vogue 1250 for Frocktails (Melbourne 2013), its wasn't what I had in mind originally but the Burda dress I made just didn't do my 4 month post baby body justice. While I have seen some great versions of Vogue 1250, (see Sew Brunswick) I feel it didn't flatter me as well as the other reviews I have read and as a consequence I'll never be making this dress pattern again. I cut a 14 in the top, a 16 in the cowl and waist and grading out to an 18 in the thigh area, as clingy was not something I wanted. I feel that my choice of animal print slinky knit from fabric.com which may of been part of the problem. I wasn't happy with the dress with my body shape so with the help of spanks, I wore the dress to frocktails and felt frumpy and comfortable but not glamorous. I think tiredness won the battle there. I have no photos of the full length dress and everytime I pulled it on, I took it off again. Yes it looks good with leggings but I felt very self concious in it, so one day, I took the scissors to it and chopped roughly 35 cms off it. I will admit that the front is shorter than the back. Whoops. Since hacking at it, I never wore it again and it's now in the bin. 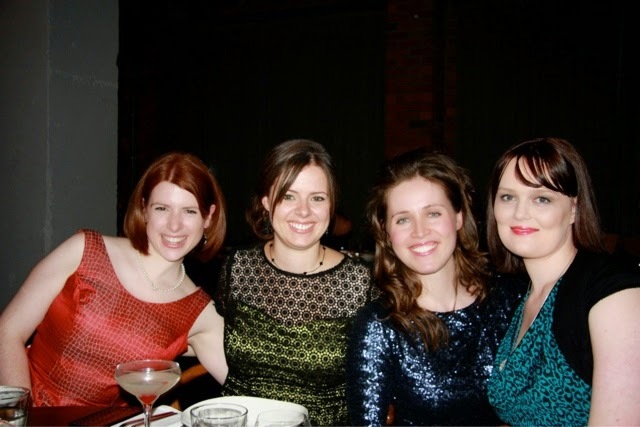 Also one of the reasons I never blogged about frocktails was I hated my outfit and I was so bloody tired. It took me weeks to recover from that weekend and I didn't even drink! Some time later, I picked up a remnant 1.2 metres of red jersey when I visited to Tessuti with Nic and Helen one Friday night. I needed breastfeeding friendly tops and I loved the fabric, great recovery, and it washes well. It sewed up well too, not a lot of curlying. This time I cut a straight 16 except for the cowl which was an 18 so it would be low enough. I fudged the side seams, and kept the darts and the lower back panel. I wear this top a lot!! If I ever have another baby then I will make it again as a top and not a dress.